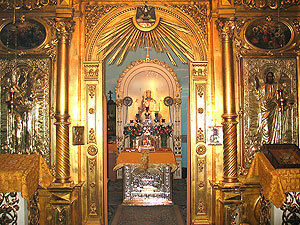 The church consecrated in honor of the orthodox SS. Fyodor, David, Konstantin, the Miracle-Workers of Yaroslavl is one of the most revered and frequented in Kazan. The church is located at the Arsk cemetery. This double-altared temple was built in 1796. 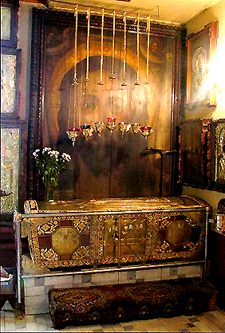 Its right side-chapel was consecrated in honor of St. Nicholas the Miracle-Worker. 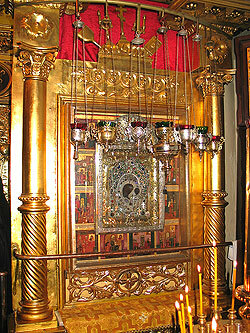 The left side-chapel is consecrated in honor of St. Nikifor, the Patriarch of Tsaregrad (Constantinople). 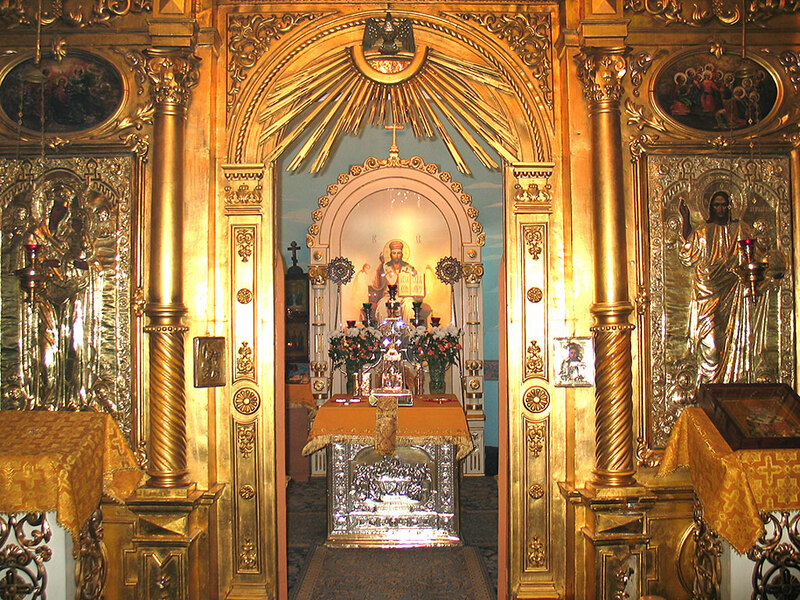 In 1844, the left side-chapel was reconstructed and reconsecrated in honor of St. Nicholas, St. Leo the Pope and St. Marfa. A year later or so the bell-tower was erected by design of the architect Thomas Petondy. 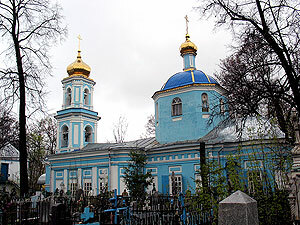 Though formerly unfamed, the church of the Miracle-Workers of Yaroslavl is of great significance to the history of the diocese of Kazan in the 20th century. From 1938 to 1946 this cemetery church was the sole temple left open in Kazan. Therefore, it obtained the status of the cathedral. During the years of the Great Patriotic war the archbishop Andrey (Komarov) served there. He was famous for his blessing to the charity takings for the Soviet Army. The cemetery church is the only temple remained open in Soviet times. In the faithful mind it is considered to be the most sacred place of Kazan thor­oughly exploited with praying. Notwithstanding the modest dimen­sion, the Church of the Miracle-Workers of Yaroslavl is one of the most revered places in the orthodox Kazan until now.